Private labels, also known as "store brands" or "house brands," have long been associated with inexpensive name-brand knockoffs. In recent years, however, retailers have begun marketing higher-quality products under their private labels. The result has been a huge increase in the market share of private label brands. Of every $100 spent around the world, $17 is spent on a private label. 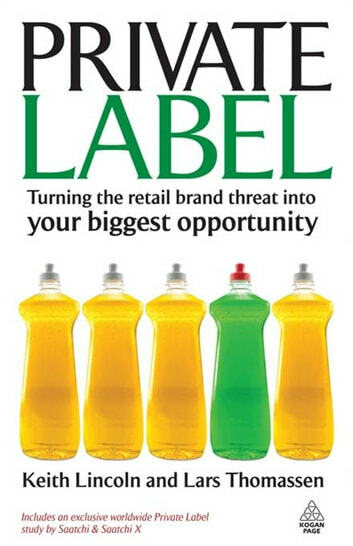 The private label industry is worth an estimated one trillion US dollars, and its growth is outpacing that of manufacturer brands.Private Label is a gripping and persuasive study of this retail phenomenon. Based on exclusive worldwide research by Saatchi & Saatchi X, it encourages brand owners to see the private label problem as a genuine business opportunity that will inspire them to really innovate. 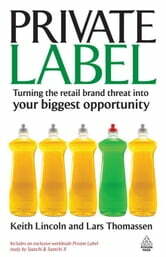 This book is for retailers too, as they need to control private labels profitably without damaging their own business. The way forward, the authors argue, is cooperation between brands and retailers.Punchy and provocative, Private Label encourages both brand owners and retailers to reinvent themselves continually. By making use of megatrends, shopper insight, and value innovation, all parties can add value to their businesses.